Showers early, then cloudy in the afternoon. Thunder possible. High 53F. Winds WNW at 10 to 20 mph. Chance of rain 30%..
Activities: Volleyball, basketball and tennis, four years; D-Club, four years; Spanish Club, four years; Student Council, four years; National Honor Society, three years; Youth Ledge; Model United Nations, two years. Scholarships, awards: Principal’s Award, four years; Academic All-State, two years; Darby Tiger Tennis Blue Collar Award; Darby Tiger Tennis Most Valuable Player; Darby Tiger Volleyball Most Valuable Player; All-Conference Volleyball First Team. Future: Major in business at Montana State University-Bozeman; then become a certified auto mechanic and fun the family business. Activities: Varsity cross country, three years, captain three years; varsity track and field, captain three years; varsity basketball, three years, captain one year; varsity indoor track, captain; varsity volleyball; class president; Student Council, four years, vice president three years; Model United Nations, four years; Youth Legislature, four years; National Honor Society, three years; D-Club, four years; Be an 11, three years; Academic World Quest, three years; band; Future Farmers of America, two years; Down Under Sports in Australia for Track and Field; National Honor Society. Scholarships, awards: Academic All-State; state music festival superior rating; Cross Country and Track Best Distance Runner; Academic Student of the Quarter; Student of the Week; Top Student, U.S. government and U.S. history; Stephanie Gonzalez Memorial Sportsmanship Award; Tiger Award, basketball and track; Girls State, elected Public Service commissioner; FFA Blue Ribbon for Showmanship; Triple Creek Ranch Scholarship; Greater Ravalli Foundation Scholarship. Future: Attend the University of Montana Davidson Honors College to pursue a degree in forestry. Activities: Upward Bound Program, three years; Gear-Up, five years; Area Health Education Center for Western Montana; Future Farmers of America; Brightworks Oregon; Diagnosis Day and Douglas County Evening of Excellence; Trio 26th annual National Student Leadership Congress; audited Umpqua Community Colleges 2015 Botany Tour of Southern Oregon and Northern California; Montana Behavioral Initiative Days; Model United Nations. Scholarships, awards: Upward Bound Explorer Award; volleyball, track and field and cheerleading letters; “Breakfast of Champions” at Glide High School; Glide Future Farmers of America Chapter Degree (Blue Jacket Pin); Agricultural Education and Leadership Careers; Academic Achievement Award of Merit for Astronomy; Student of the Week; Positive, Respectful, Responsible and Safe Award for metals class; Certificate of Excellence awards. Future: Achieve Navy corpsman rank and then attend college to become a physician’s assistant. Dakota Benitez, Michael Brewer, Trevor Brewer, Breanna Brickey, Wyatt Campbell, Bennon Fisher, Gabriel Hansen, Justin Horvath, Tasha Huette, Dustin Hunter, Stephanie Lanfear, Lily Lang, Riley McConnell, Sierra Ragen, Tilore Spears, Cory Valenzano, Anthony Westfall, Trystin Zeiler. Michael Brewer: Allen Brewer and Mary Williams, parents. Lorentzen Trade School Scholarship; Darby Distribution Scholarship. Trevor Brewer: Jonathan Smith and Shantel Brewer-Smith, parents. U.S. Army National Guard benefits package. Breanna Brickey: Craig and MaryAnn Brickey, parents. 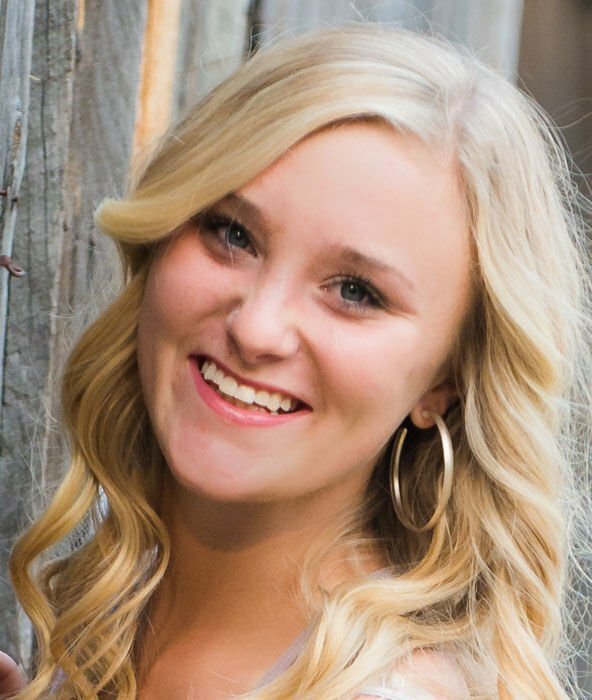 Rocky Mountain Aggregates Scholarship; John and Coleen Boyer Insurance Management Services Scholarship; VFW Scholarship; Ravalli Electric Scholarship; Triple Creek Scholarship; Porterbilt Scholarship; Ted Reinbold Memorial Scholarship; Lorentzen Sophomore Scholarship; Montana State University Premier Scholarship; Bitterroot Community Credit Union Scholarship; Bitterroot Basketball League Scholarship. Wyatt Campbell: Keith and Wendy Campbell, parents. Greater Ravalli Foundation Scholarship; Patrick’s Septic Scholarship; Barry Whitmore/State Farm Scholarship. Gabriel Hansen: Elijah and Cynthia Hansen, parents. U.S. Navy military funding. Justin Horvath: Duane and Stacy Horvath, parents. Bitterroot Community Federal Credit Union Scholarship; Valley Pet Clinic Scholarship; Bitterroot Women’s Club Scholarship; Walt and Janice Anderson Memorial Scholarship. Tasha Huette: Joe Huette and Rene Decker, parents. Bill and Ruth Decker, grandparents. U.S. Army Reserves benefit package. Dustin Hunter: David and Shelly Hunter, parents. Bitterroot Valley Community Federal Credit Union Scholarship; Ford’s Department Store Scholarship; Porterbilt Scholarship; Bitterroot Valley Federal Credit Union Scholarship. Stephanie Lanfear: Jon Lanfear and Rita Lanfear, parents. Darby Family Restaurant Scholarship; Bitterroot Rock Scholarship. Lily Lang: Jeff and Rhonda Lang, parents. 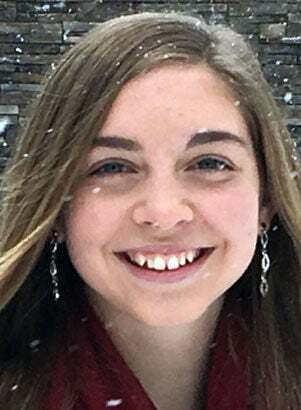 Valedictorian; Farmers State Bank Scholarship; Camp Riemel Scholarship; Bitterroot Community Federal Credit Union Scholarship; Ted Reinbold Memorial Scholarship; Ravalli County Fish and Wildlife Scholarship; Triple Creek Scholarship; Greater Ravalli/Lorentzen Scholarship Scholarship; Governor’s Best and Brightest Merit Scholarship; Lorentzen Sophomore Scholarship; University of Montana Freshman Scholarship. Riley McConnell: Kevin and Angela McConnell, parents. VFW Scholarship; Porterbilt Scholarship. Sierra Ragen: Jeremiah and Jennifer Madruga, Thomas Ragen, parents. Bitterroot Community Federal Credit Union Scholarship; U.S. Navy military funding. Tilore Spears: Jack and Karin Spears, parents. Andy Kehmeier DDS Scholarship. Cory Valenzano: Lenny Valenzano and Lori Smith, parents. Miles Community College Athletic Scholarship; Naecko Smith Memorial Scholarship and Naecko Smith General Scholarship; Porterbilt Scholarship; Bitterroot Valley Community Federal Credit Union Scholarship. Anthony Westfall: Sharon Westfall, parent. Leon McCrossin Memorial Scholarship; Bitterroot Basketball League Scholarship. Trystin Zeiler: Brandon Zeiler and Radonda Cunningham, parents. Darby Distribution Scholarship; Naecko Smith Memorial Scholarship. Information provided by Darby High School. Because of early deadlines, scholarship lists are incomplete.